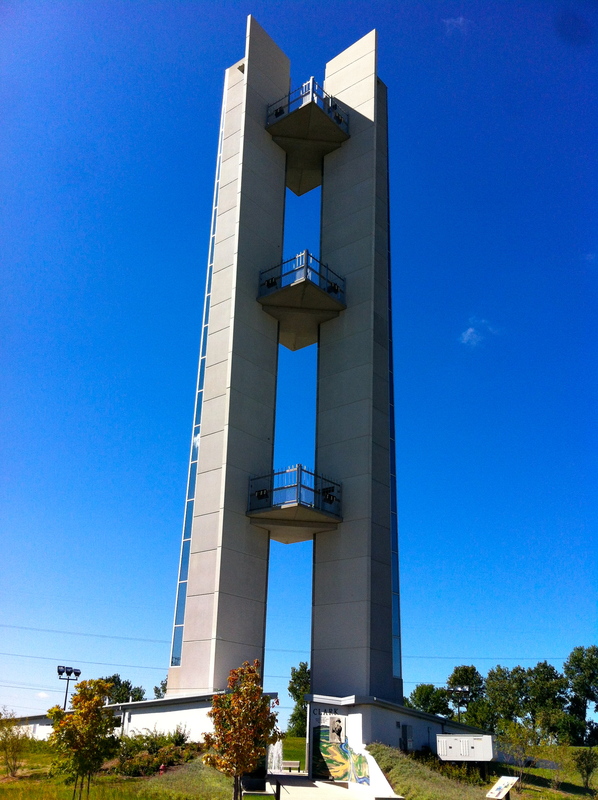 The Confluence Tower is located in Hartford, Illinois about 30 minutes from downtown St. Louis. The seemingly random 150 ft tall tower sits in the middle of a cornfield near the confluence of the Mississippi and Missouri rivers. 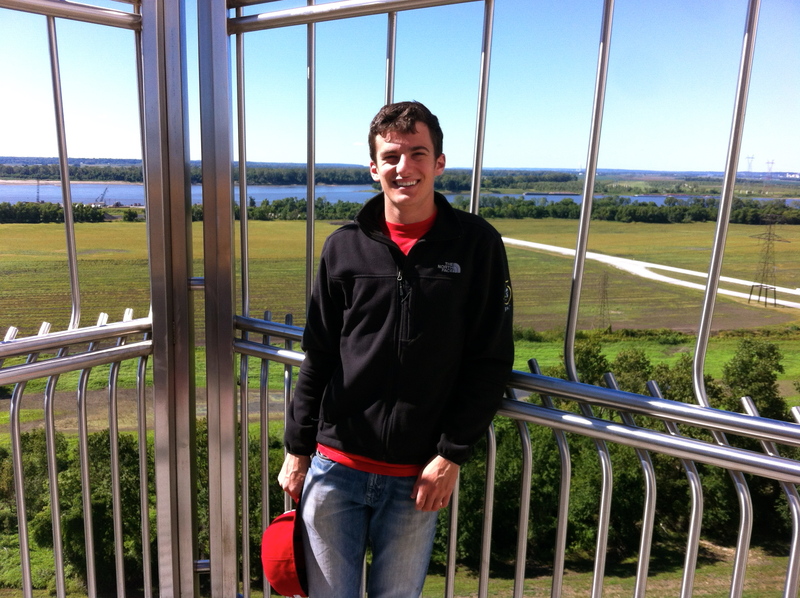 Admission is $5 and there are 3 viewing platforms: at 50ft, 100ft, and 150ft above the ground. Originally, I was very uninterested in visiting the tower, having been to the area a few times but never actually went to the top of the tower. That said, I was in for a pleasant surprise, as the confluence tower exceeded all expectations! Each level provided a different perspective of the landscape. At 50ft, the focus was on the nearby town of Hartford, Illinois and its industrial past. At 100ft, the focus was on the confluence itself, which is now in view. From this height, you can see the differences in the two rivers in addition to the nearby flood plains. 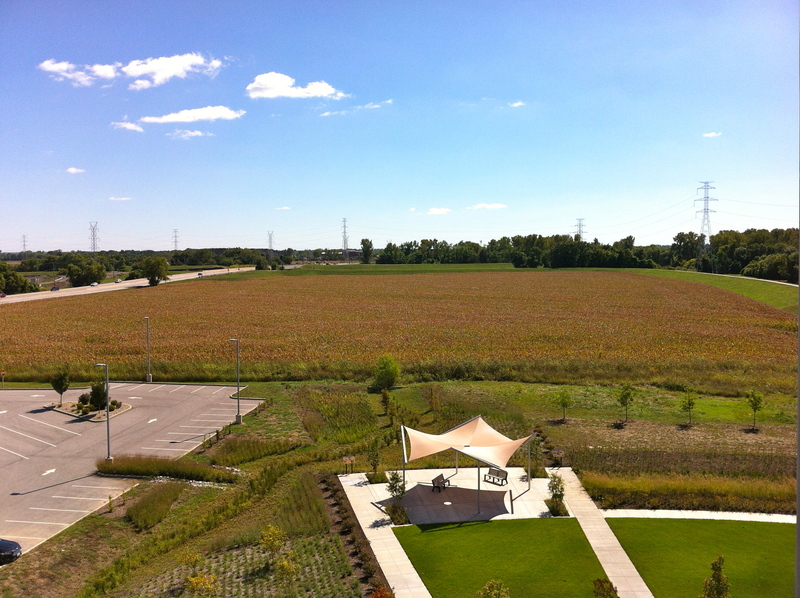 At 150ft, you can see everything for 20 miles in each direction. 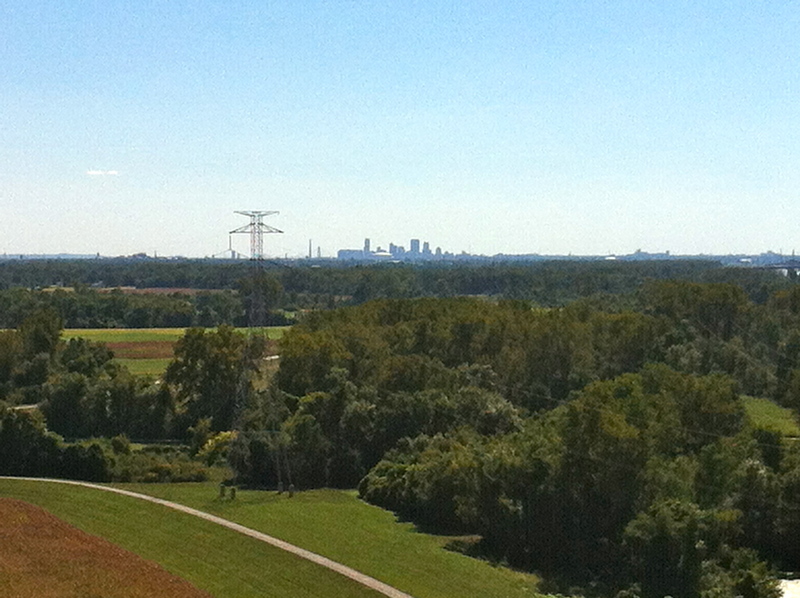 From this height, downtown St. Louis, Grand Center, the Cathedral, and even Wash U are in view! The tower is a very cool place to visit for a half-day trip, especially if combined with nearby Alton.